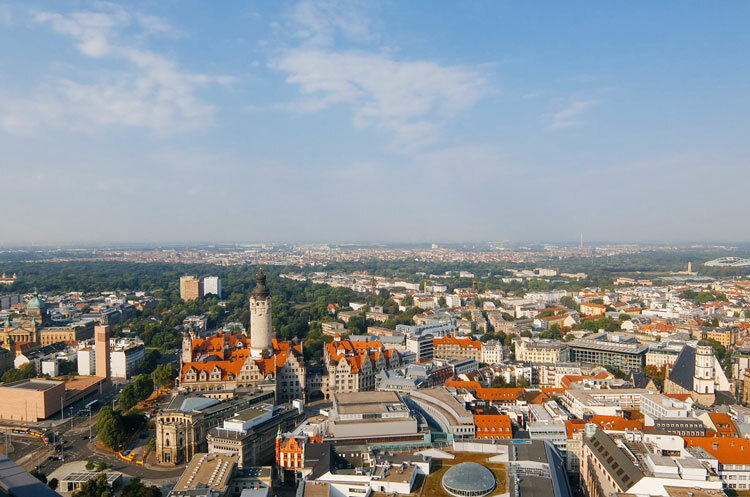 Known for its rich musical heritage (Johann Sebastian Bach and Felix Mendelssohn Bartholdy are inextricably linked to the city), Leipzig has also become popular over the past few years for its vibrant creative scene. 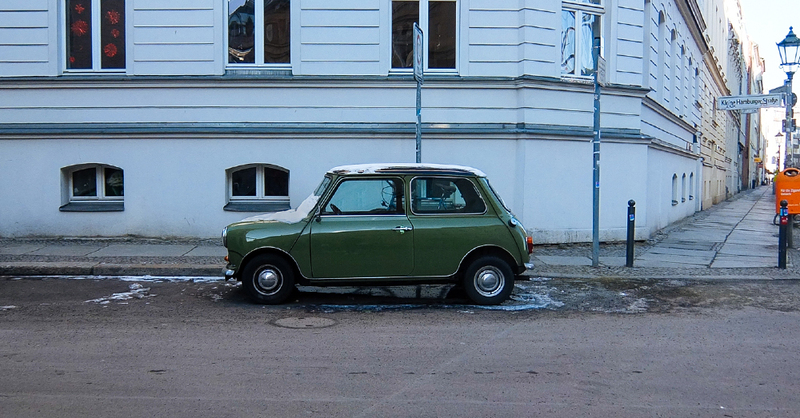 Although the media has recently called it ‘the new Berlin’, this East German city is actually quite different from the country’s capital. 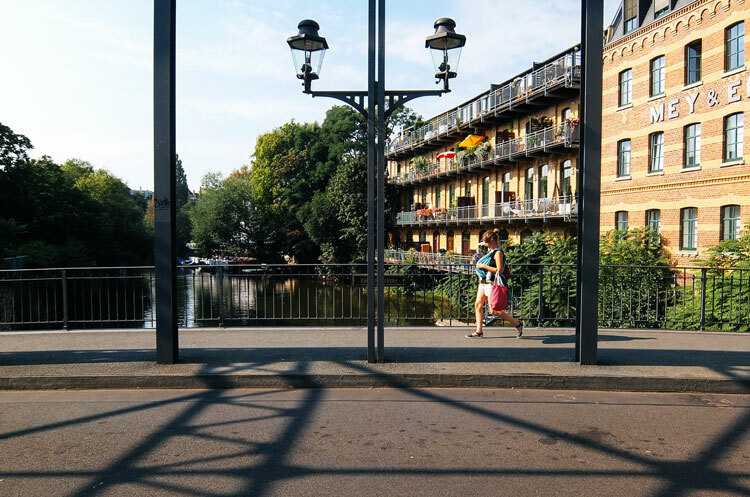 Art spreads across the city but Leipzig is more laid-back and quiet, making it the perfect destination for those seeking a relaxing city break. 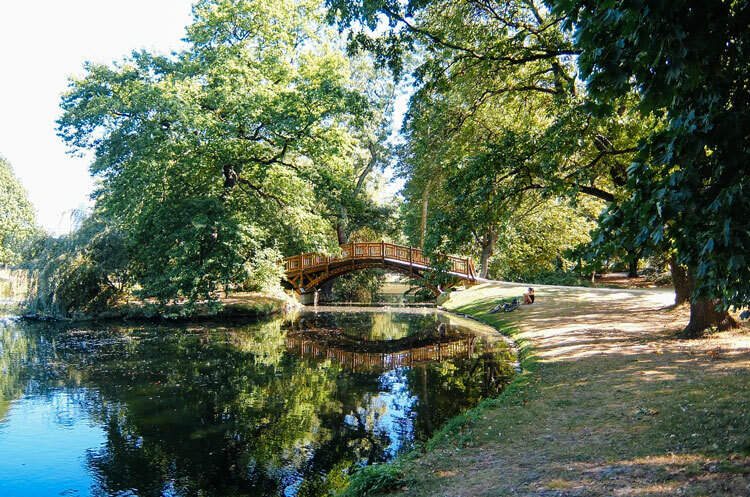 From the industrial areas now turned into creativity hubs in the west to the mix of architecture in the city centre, take a look and discover some of our favourite places in Leipzig. Thanks to Leipzig Region for making this guide possible and for three amazing days in Leipzig. 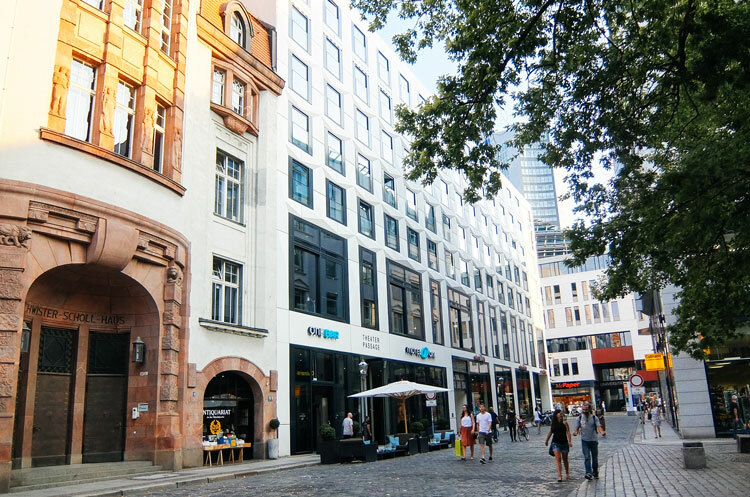 Located in the heart of the city, Motel One Augustusplatz is the perfect base to explore all that Leipzig has to offer – you can even start your exploration just from your room checking the amazing views of St. Nicholas Church and the rest of surrounding buildings. 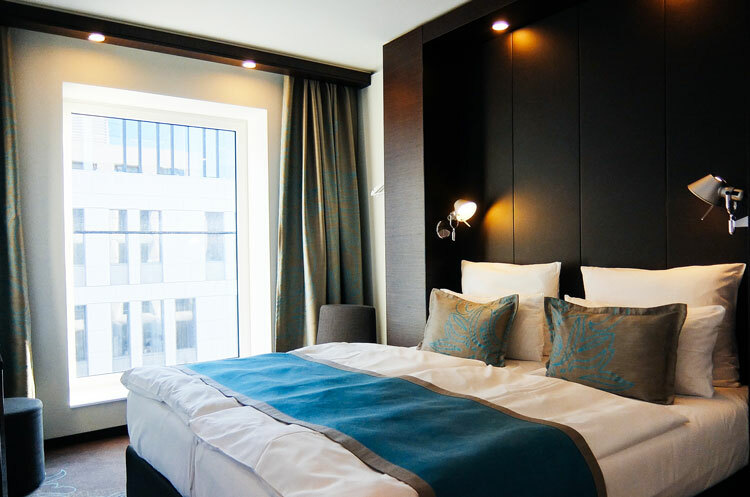 The rooms at Motel One are really comfortable and bigger than what you would expect from a ‘budget’ hotel, with great design details such as the LOEWE flat screen TV and the Artemide lights. If you want to relax or need to do some work, you can use the One Lounge, a great space where you can find a bar, desks and comfortable armchairs with Leipzig’s Old Town in the background. The first thing that catches your eye at Ping Ping are its amazing minimalist interiors, but wait until you get your food served! 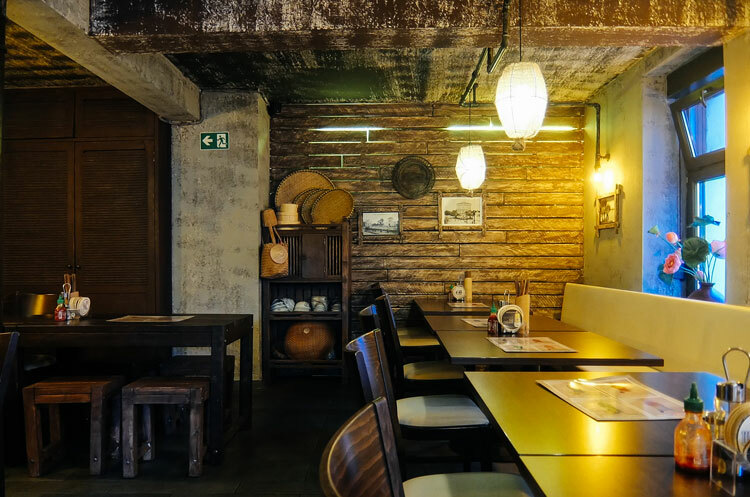 Everything looks nice and perfect in this restaurant in the district of Plagwitz, one of the most exciting neighbourhoods in the city. The food offer at Ping Ping is very interesting and, although difficult to categorize, it could be described as Asian fusion. The specials change every week and are announced on its Facebook Page, and you can enjoy a great and very affordable set menu during lunch time. 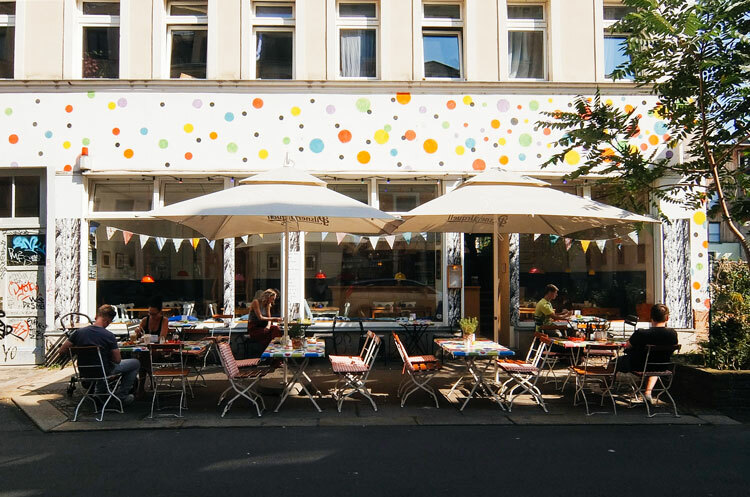 Located just a few minutes away from the city centre, Café Cantona is a meeting point for Leipzig’s creatives. Open all day, this eatery and bar offers a a great selection of food and drinks in a relaxed atmosphere. If the weather is nice, the seating area outside is perfect for a little break before heading to discover the south of the city. 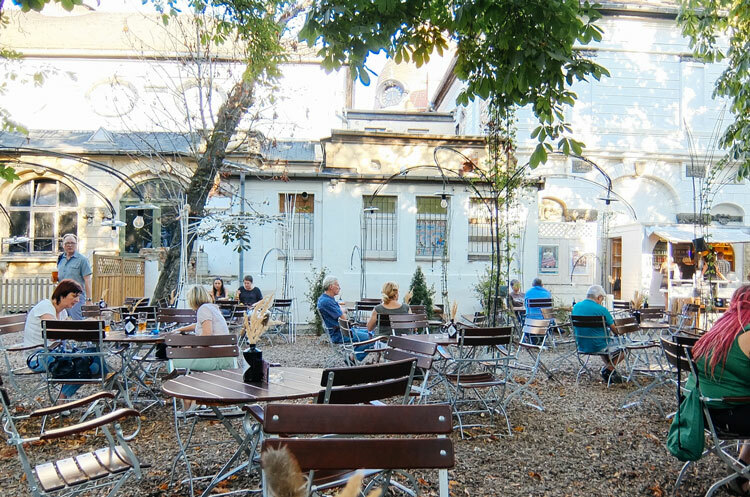 Felsenkeller is a music venue and beer garden on Karl-Heine-Straße, the main street full of bars and restaurants in the neighbourhood of Plagwitz. Apart from organising many gigs and club nights, the beer garden is very popular, especially during the warmer months, and attracts an interesting, mixed crowd. The beer offer is not very diverse but you can do like the locals and enjoy a Radler (beer with lemon soda) or, if you’re feeling adventurous, a Diesel (beer with Coca Cola). 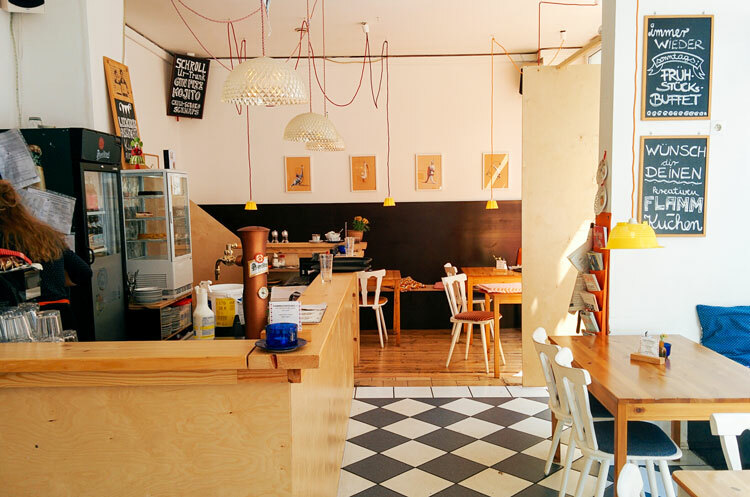 Süß + Salzig (sweet and savoury) is another nice eatery in the Plagwitz area offering exactly what its name means: a tasty selection of sweet and savoury dishes with great vegan and vegetarian choices. 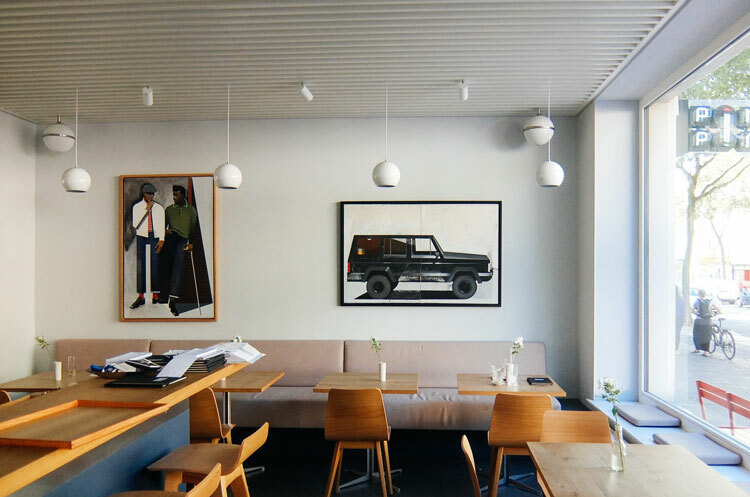 As most bars and restaurants in Leipzig, you will find a great outdoor area, perfect for spring and summer months, but we recommend also having a look inside Süß + Salzig to discover artwork by local artists hanging on its walls. 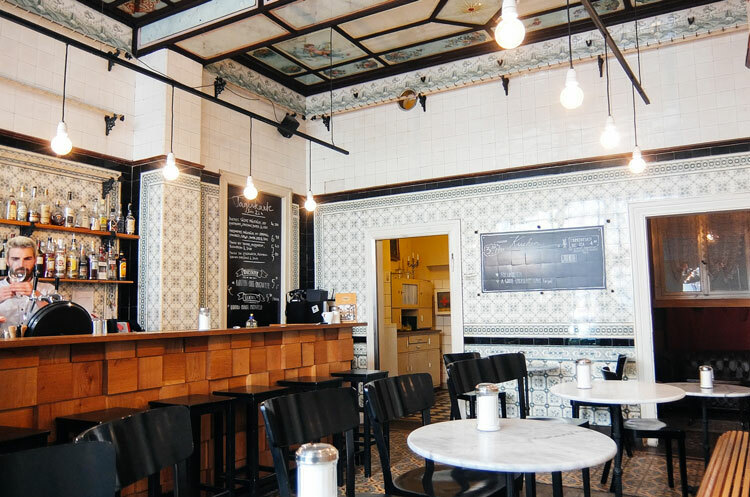 A former butcher shop, this beautiful café in the north of the city still keeps some elements from its past, such as the cows and sheep painted on the impressive tiled ceiling or the sausage hooks, combined with the new wooden bar and the long bench along one of its walls. Café Fleischerei is the perfect place to enjoy a tasty breakfast in the morning, a noon apéritif or a glass of wine in the evening. The moment you step into Chumumi feels like leaving Germany and suddenly finding yourself in a small village in Southeast Asia. This Vietnamese restaurant offers an extensive list of dishes to have by yourself or share at very affordable prices. 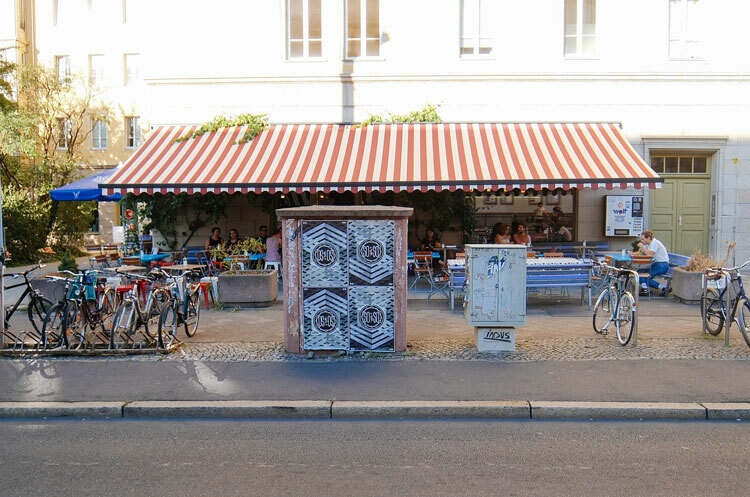 Close to Café Cantona (see Eat & Drink section) in the south of the city, Tschau Tschüssi is a shop stocking a nicely curated selection of design objects from all around the world. 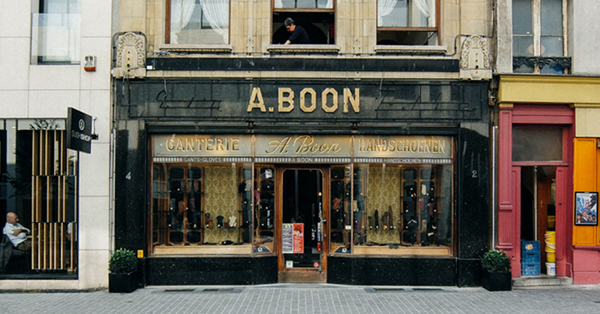 You can find unique items and also limited editions, ranging from stationery and clothing to jewellery and accessories. 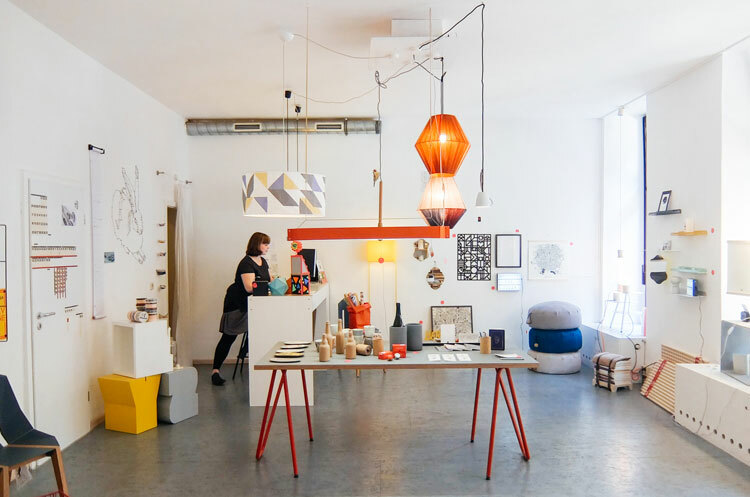 A great place to also discover local design talent! 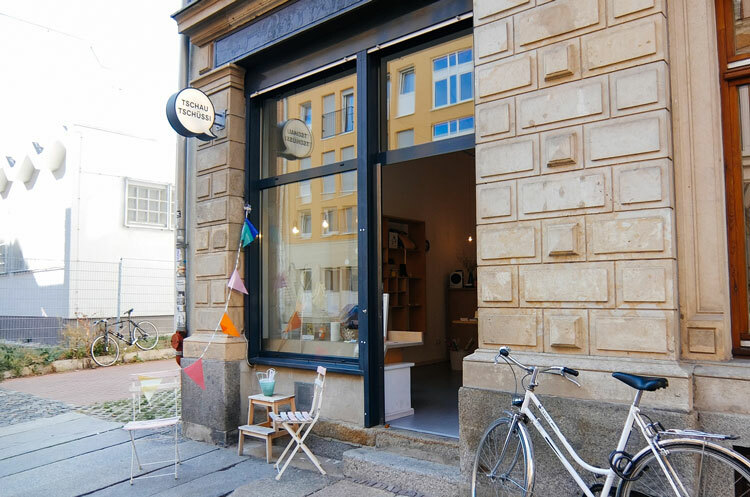 Another nice design shop in Plagwitz from where you probably won’t leave empty handed. 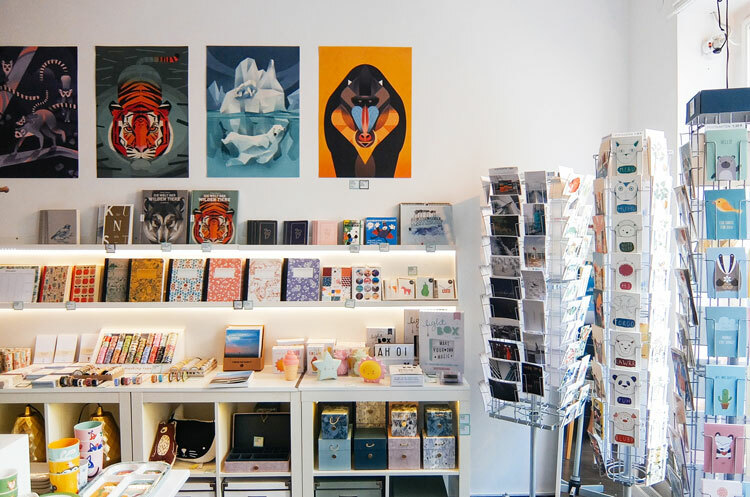 Despite its compact size, the product offer at Hafen is impressive, especially the stationery section where you can find prints, notebooks, postcards and other items – all created by young and up-and-coming artists and designers. 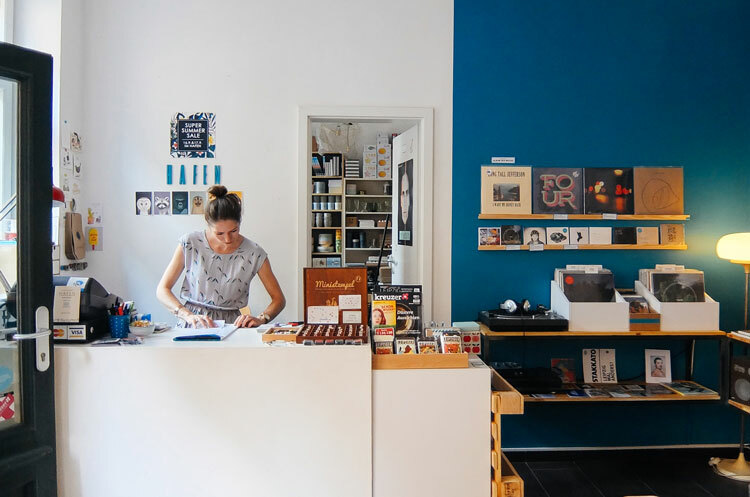 In Hafen you can also find a great selection of CDs, vinyls, magazines, clothing and homeware. Måat is an interesting concept store in the heart of the city. This minimalist space stocks a wide selection of fashion and furniture Scandinavian labels and it’s also home to sculptures and installations by German artists. 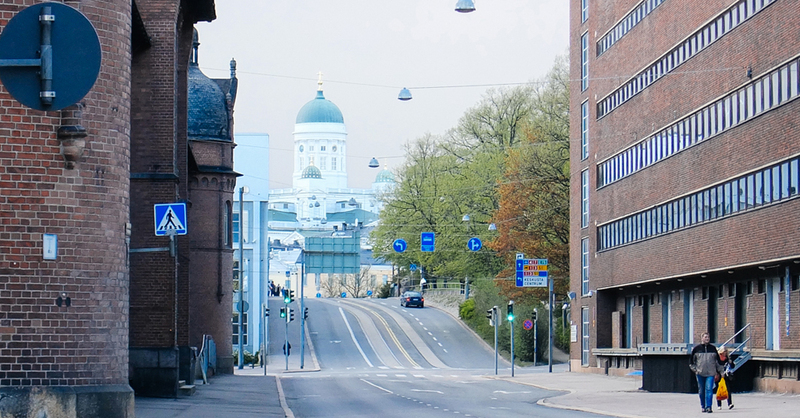 Måat also organises events like presentations of young designers and styling workshops. You shouldn’t miss Das rote Paket if you want to discover more amazing work by young designers. 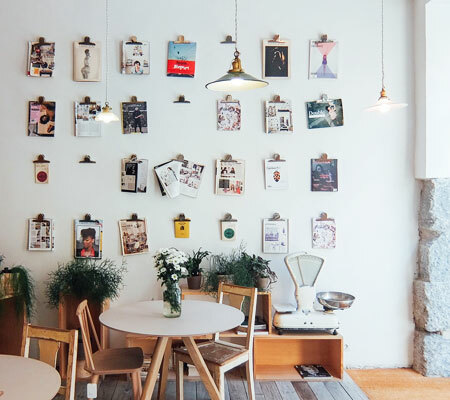 This bright and beautiful space in the city centre stocks products ranging from furniture and home accessories to lighting and toys for children. 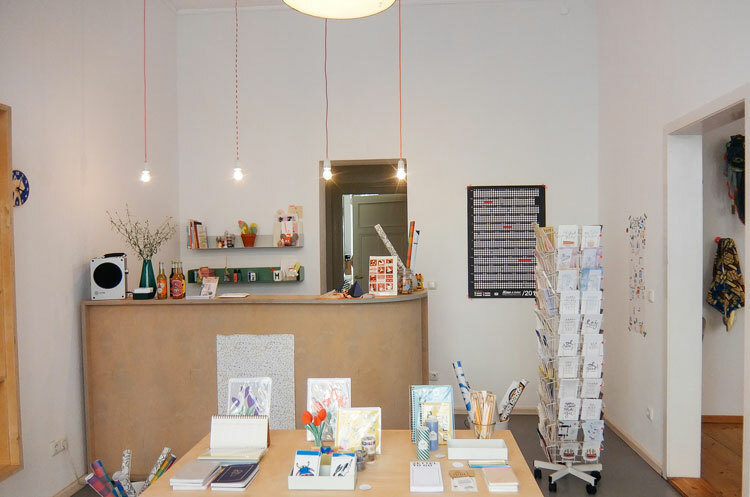 Every item at Das rote Paket has a small maker behind and its own story! 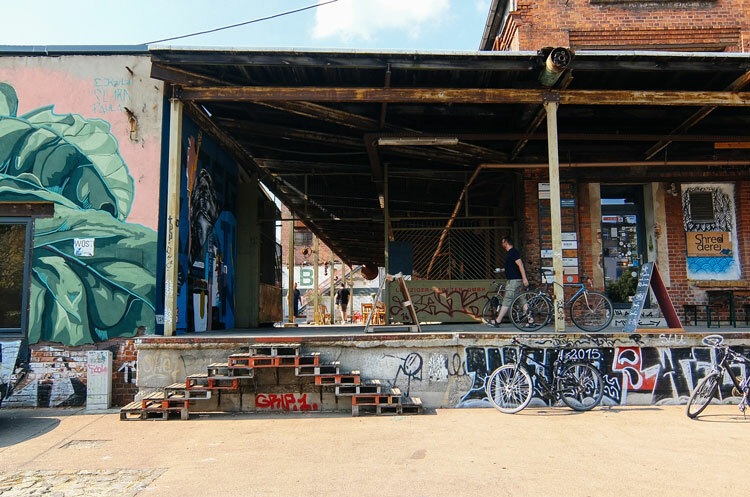 All across Leipzig you will find many revamped factories and centres of creativity, Spinnerei is the biggest in the city located in the Plagwitz neighbourhood. 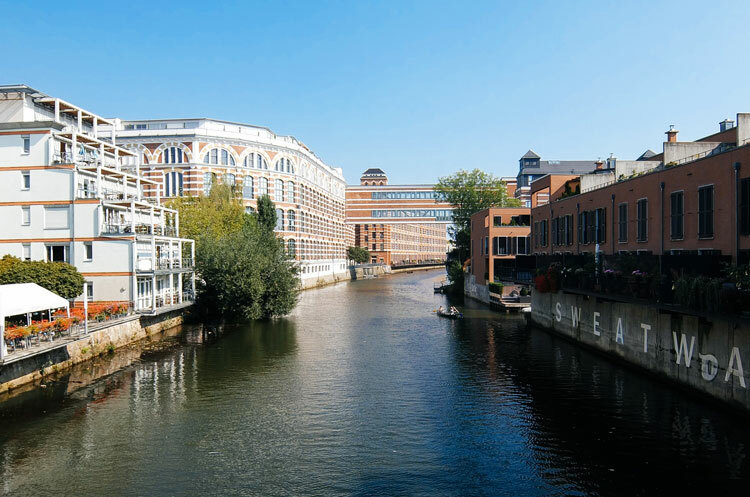 This former cotton mill – it was the largest in continental Europe – is now home to galleries, artist studios and exhibition halls. 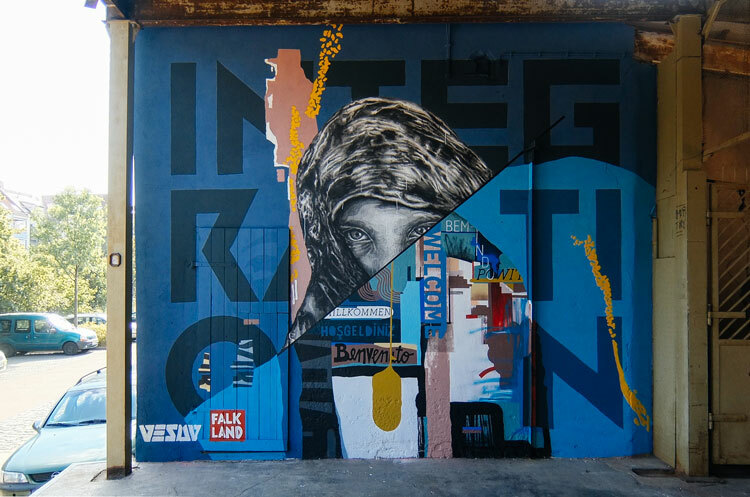 The renovation of this impressive industrial complex started in 1992 when several artists acted as the pioneers of the revitalisation of the area. 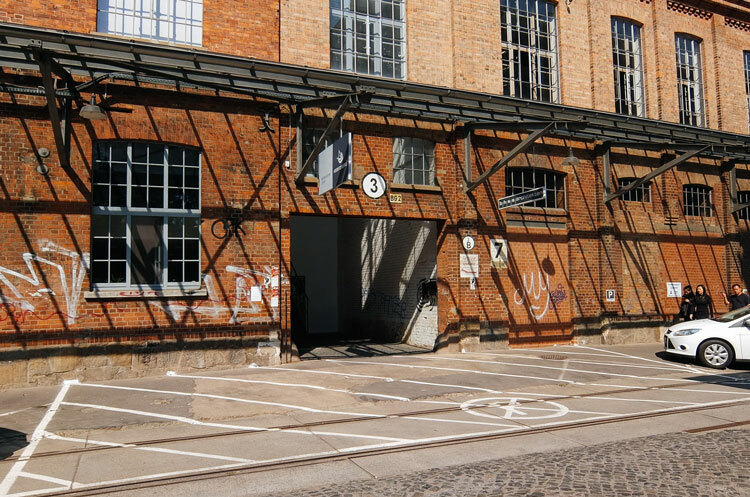 By the early 2000s, galleries also started moving to Spinnerei and today it has more than 100 artist studios and 14 galleries. 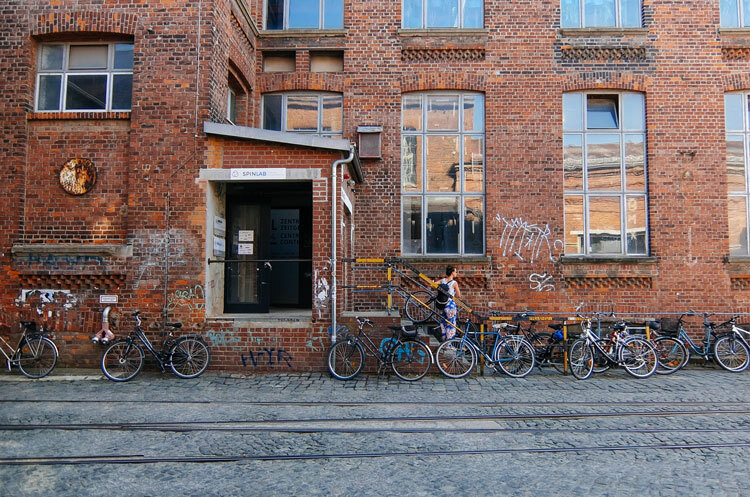 We recommend planning your visit to Spinnerei with time, checking the galleries’ programmes beforehand as well as opening times to make sure you can make the most of your visit to this one-of-a-kind creativity hub. 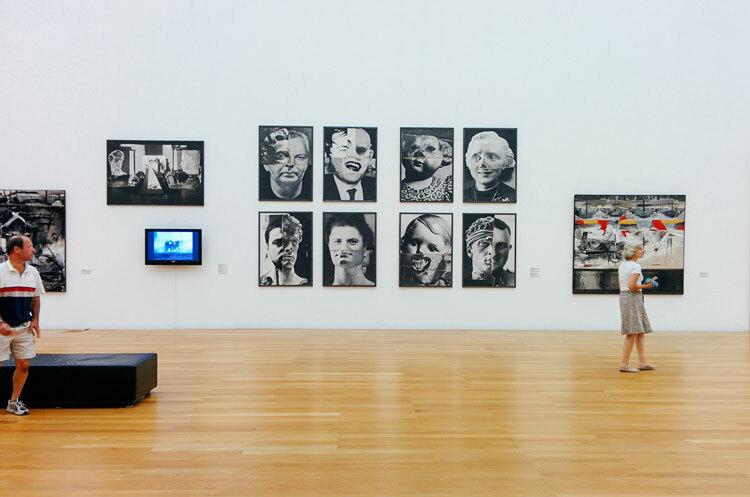 Leipzig’s Gallery of Contemporary Art, also known as GfZK, shows work by German and international artists produced after 1945. 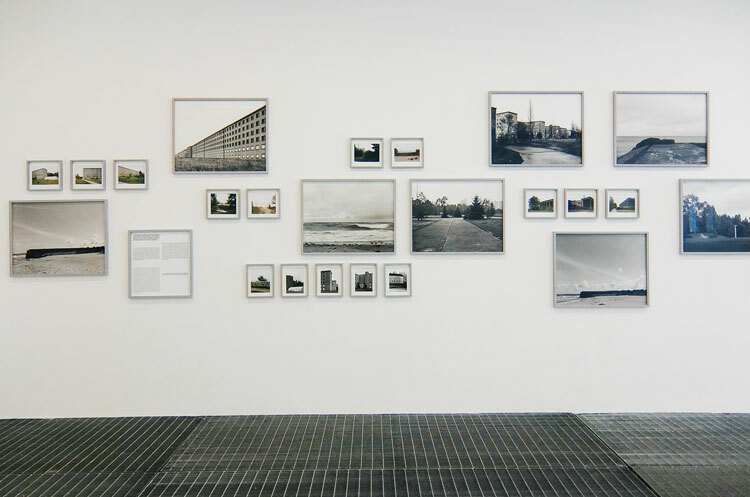 This museum in Leipzig’s Music Quarter has established itself as a space where the relationships between art and architecture, and art and design, are addressed. 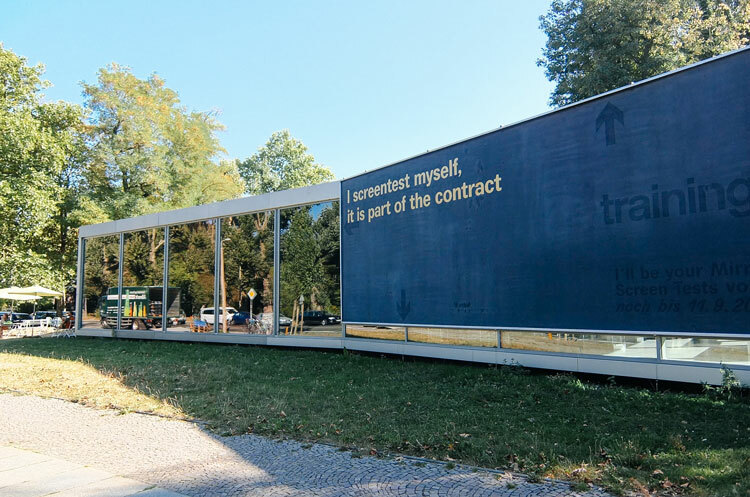 The museum consists of three buildings – a villa, a garden house and the modern Neubau – that are home to different galleries, a space where limited edition artwork is available to purchase and even 2 hotel rooms designed by artists. 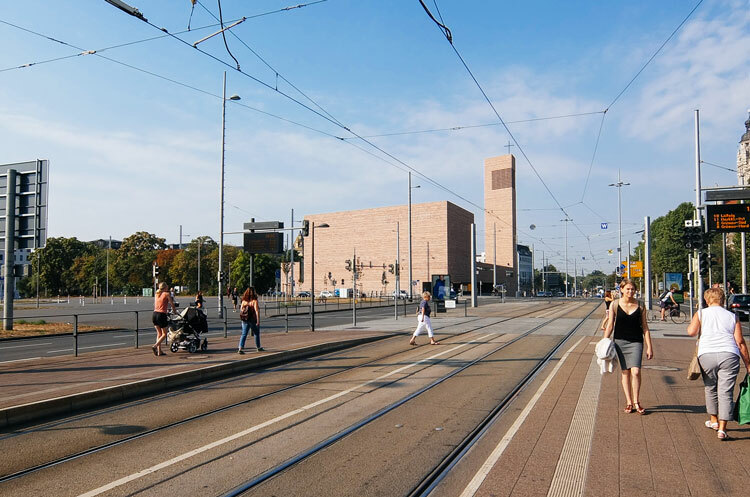 This old power plant in Plagwitz is being converted into an experimental centre for art, culture, design and communication. Inside the industrial halls of Kunstkraftwerk, guests can enjoy exhibitions, projects and performances by local and international artists. Inside this impressive glass cube designed by architects Hufnagel / Pütz / Rafaelian, the Museum der bildenden Künste is home to an extensive collection of art dating from the Late Middle Ages to the present, with a focus on German, Dutch, Italian and French artists, as well as artwork from the “New Leipzig School” movement. 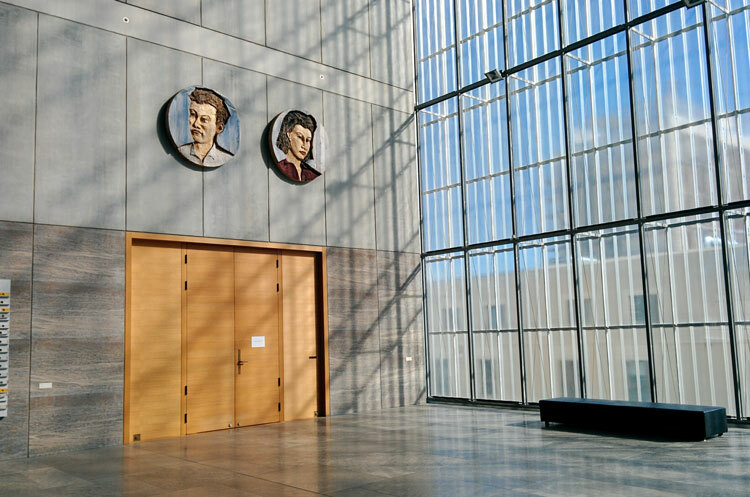 We recommend allowing at least a couple of hours in order to see the permanent collection, the temporary exhibitions and the inside of this architectural marvel in detail. 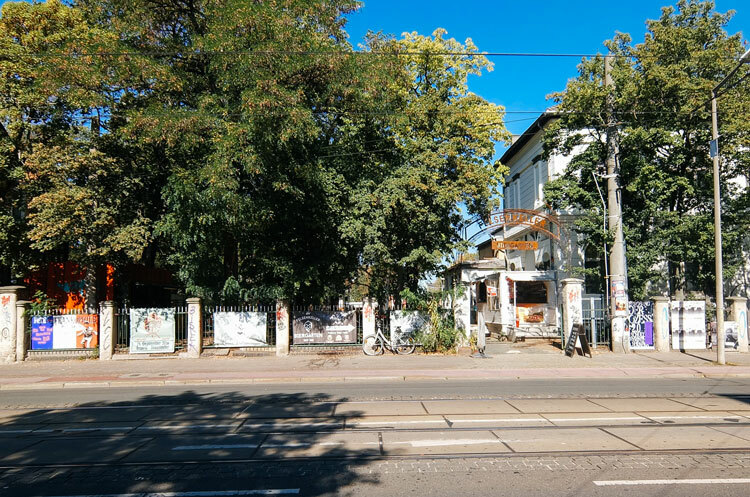 Another creativity hub in Plagwitz, home to numerous studios and co-working spaces rented by artists, designers, architects and other creative minds. 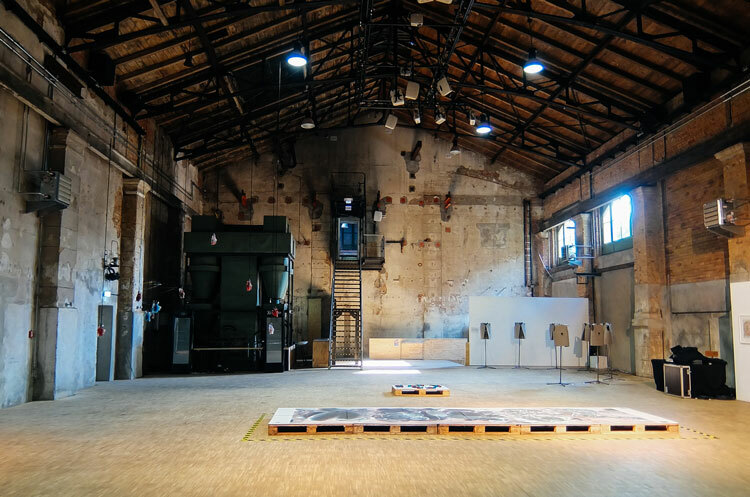 This former wallpaper factory also houses a café and gallery spaces, and four times a year all the studios and spaces at Tapetenwerk open up to the public during different art festivals. 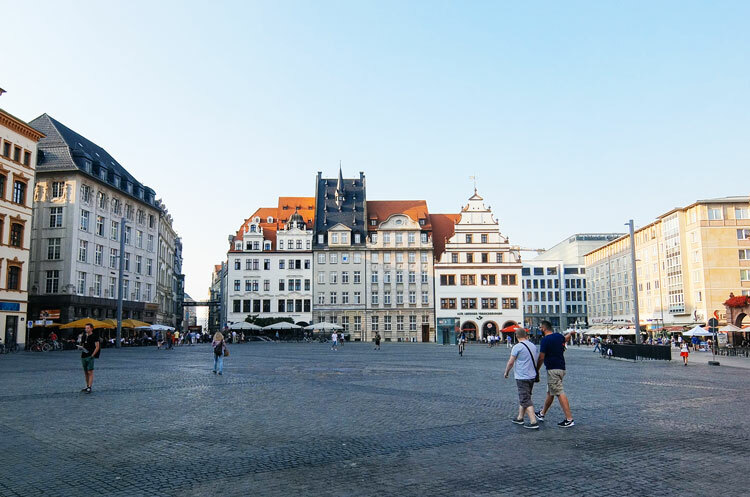 This guide was created in partnership with Leipzig Region.